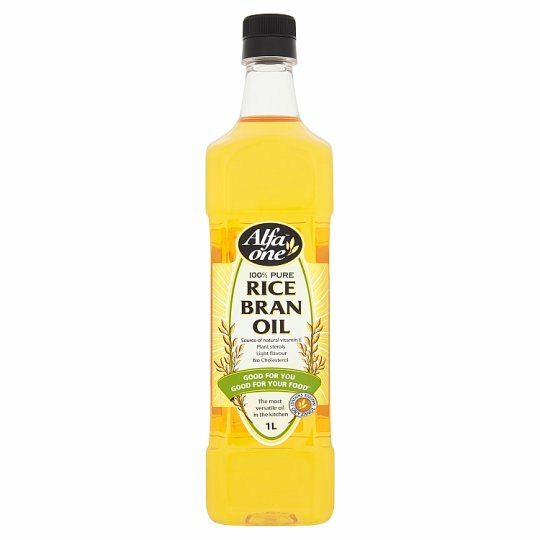 Alfa One Rice Bran Oil is naturally light and clean tasting. It is a source of natural Vitamin E, which contributes to the protection of cells from oxidative stress. With a high smoke point (250°C), it is deal for all types of cooking, including baking, grilling and deep frying. Store in a cool, dry place away from direct sunlight, Best before: See base of bottle. This is normal and will clear on gentle warming.